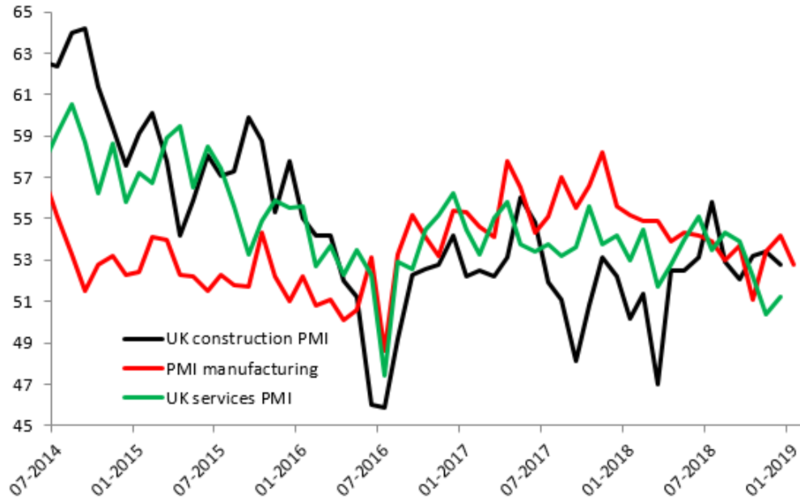 The latest look at the UK manufacturing sector has come in worse than expected and further supports the notion that the global economy is clearly slowing down. A reading of 52.8 is below the 53.5 median forecast and marks a fair sized drop on the 54.2 seen previously. The drop would have been larger were it not for stockpiling of purchases ahead of Brexit uncertainty, with volumes hitting the highest on record at 56.3 in January - up from 54.2 in December. While the reading is no doubt on the soft side, it is not especially bad compared to several of the UK’s peers. To put the reading in a more global perspective, we’ve had equivalent manufacturing measures released from China and across Europe in recent days, with the overall theme being one of a clear slowdown in the sector. Two separate figures from the Far East put the Chinese manufacturing sector below the 50 mark, which signals a contraction, with Italian and German figures also beneath this level. There’s a temptation to link everything back to Brexit when it comes to the UK at present and despite the ongoing political merry-go-round the weakness here actually comes far more from a slowing global economy with the latest Brexit developments actually softening the blow due to the stockpiling of products. This respite will no doubt be temporary however, and attention now turns to the US with the release of their latest manufacturing figures scheduled this afternoon, not long after the monthly US jobs report. The pound has ticked lower following the release with the market moving back below the $1.31 handle in recent trade. The FTSE continues to be well supported and trades close to a 2-month high back at the big psychological 7000 level.